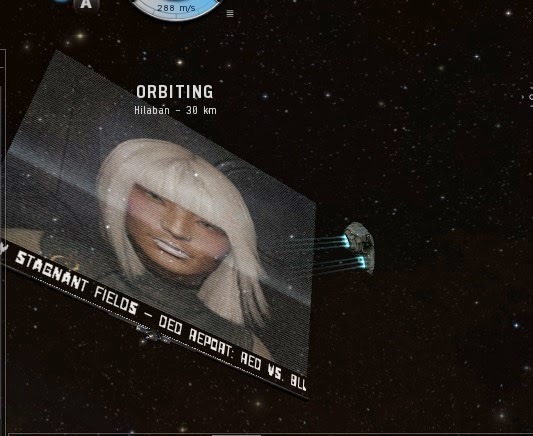 I vote we continue piling ISK into E1's bounty so that her face shall forever grace the billboards of New Eden! I would be in favor, but my recollection from Retribution is that after a period of time the bounty is wiped out. No one should quit EVE over this. Don't let the carebear whiteknights win. Stay subscribed and continue to support the New Order. But feel free to say that "Erotica 1 sends her regards" because I do! One of my alts have sent james 100 mill to put shares in the NO to you erotica. Hope ccp let you back in the game. You add to the style and role play of eve like James does. Erotica 1 what is your response to people that are buying shares in your name? Am I the only one weirded out by the Nereus fitting screen that only shows 1H/2M/5L as opposed to its 2H/5M/5L? A Nereus is the new name CCP gave to the Iteron I after they teiricided T1 haulers recently. "We are contacting you to remind you that according to our records you ONLY have 21 hours left on your non-recurring subscription to EVE Online." Tbh anyone who would quit the game over E1 is someone we probably don't want in the game anyway... so please... the more the merrier. He's a content creator. He's someone this game desperately needs. Fly safe brother, wherever your travels may take you. I believe it's more because of CCP's professional inadequacies and inconsistencies that people are pissed off about. What happened to Erotica 1 was public proof of that and the last straw for some players. 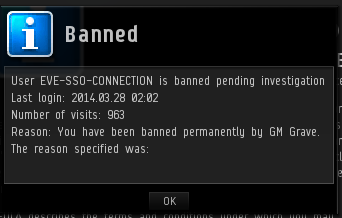 It would be one thing to receive a 30 day ban (if a ban had to be handed out for CCP's sake), but a permaban on rules that don't exist and are made up on the fly? 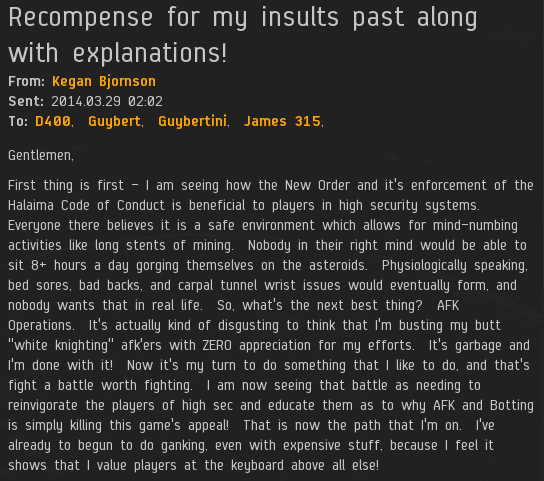 "I believe it's more because of CCP's professional inadequacies and inconsistencies that people are pissed off about. " I totally agree. Ruling against the bonus room and giving Ero a warning or temp ban would have been one thing. A permanent ban with no prior warning about the activity is completely different. Essentially it means that everyone is just playing until their permaban comes down. Eve, where the rules are all made up and the ToS means nothing. It's not about Erotica1, just think about all these. ONE player (Ripard) didn't like the way OTHER player (Erotica1) played the game. 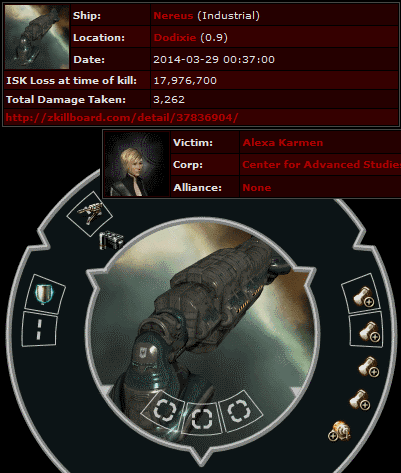 Abusing his position as CSM member he pledged CCP to ban him, with no results, after that, abusing his position as "popular blogger", he created giant shitstorm. 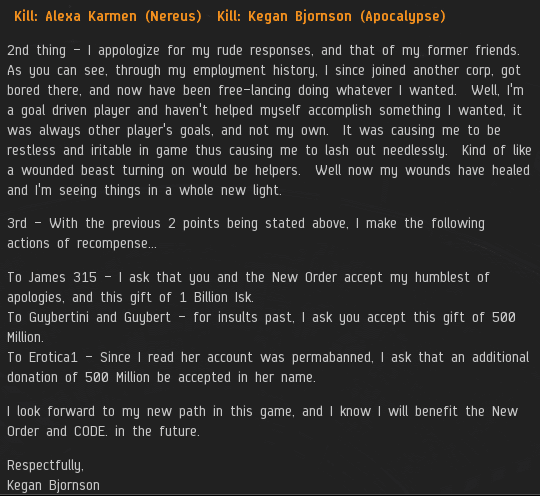 After the shitstorm hit the forums CCP banned Erotica1, without other reason or explanation than being a ingame gods. Personaly i dond need gods in my sandbox, and i don't even want to play on same server as Ripard. CCP think they "own" my characters, big deal, i own my money, so CCP can have my toons and i will keep my money. Erotica 1 - ISK doubler of my heart! Oh no, a useless high sec scammer was banned for being a sociopath. Whatever shall we do? LSM, I see you're still posting on this site. How's that search for self relevance coming along? James, Piter Bakunin here, I did indeed decide to leave the game due to E1s banning. CCPs continual pandering to the moral outrage crowd and the double standards implicit in their most recent action prompted me to end my time here. I have gifted the Order with the vast majority of my space-gold in hopes that it will be used to do good in the finest tradition of the New Order. Highsec is secure beneath the watchful eyes.